1-MCP|1-methylcyclopropene|3100-04-7|Fresh doctor - Xianyang Xiqin Biotechnology Co., Ltd.
Preservative main active ingredient of the "Fresh doctor" is 1-methylcyclopropene (1-MCP), which is the most remarkable ethylene inhibitors in recent scientific research. It is non-toxic, harmless, no residue, environmental friendly, and widely used to keep freshing in fruits, vegetables and flowers. There is fixed assets of RMB 30 million in Company, employs over 260 staff, 40% of whom are professional technicians, including two doctors, four masters, four senior engineers, and 23 engineers. Company and National Engineering Technology Research Center for Preservation of Agricultural Products(CPAP), Xi'an Jiaotong University and many other research institutions to establish cooperation. Fresh doctor 1-MCP cost is low, only 2 cents per kilogram cost. Preservation effect is good, the average value of the use of products increased by 87.6%. Good after-sales feedback, customer satisfaction rate of over 99%. 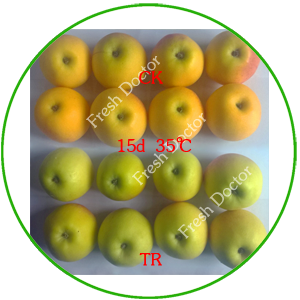 Fresh doctor holds a only TC 1-MCP patent, pesticide registration certificate, pesticide production license and other relevant official procedures. Seeing is believing! The use of 1-MCP and control results show. 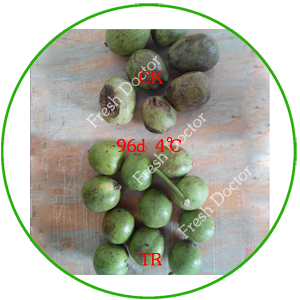 Kiwifruit use Fresh doctor 1-MCP can be stored to the second year in May, time to leave the cold storage Kiwi maintained good hardness and does not affect the taste of kiwi. We have been working together for six years and Fresh doctor, for their products and services are very satisfied. 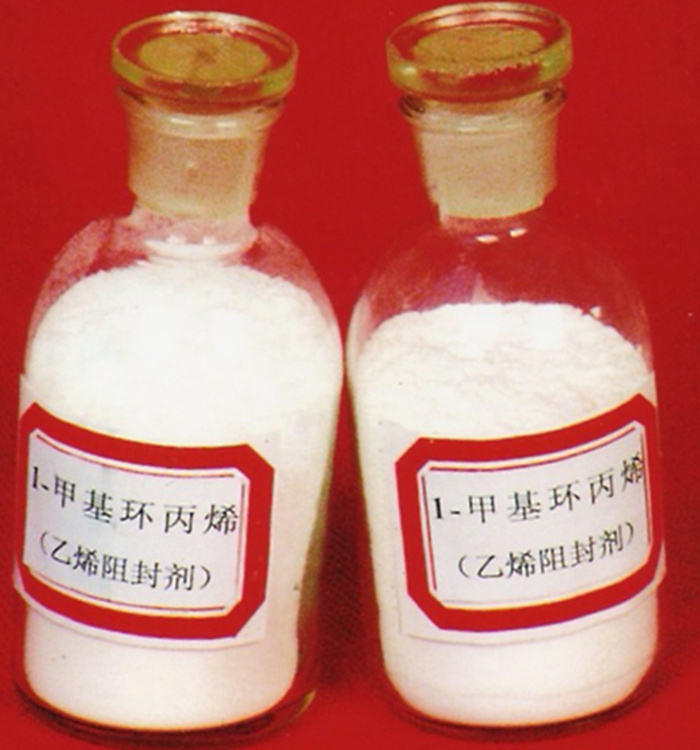 My company and Xianyang Xiqin Biotechnology Co., Ltd. 1-methylcyclopropene export products are exported to Europe, America, all customers are feedback Xianyang Xiqin Biotechnology Co., Ltd. production of 1-MCP content and purity of the product The world's leading. 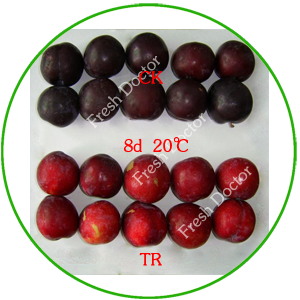 Xianyang Xiqin Biotechnology Co., Ltd. Production of Fresh doctor 1-MCP effect is very good, to extend the storage period and shelf life of vegetables,and non-toxic harmless no any residual, helps us to solve the biggest problem, now we vegetables very popular, thanks Fresh doctor. 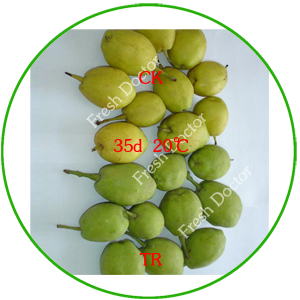 1-MCP suitable fruit:apple, pear, kiwifruit, peach, persimmon, grapes, plum, apricot, cherry, strawberry, melon, jujube, banana, litchi, mango, loquat, waxberry, papaya, guava, carambola, and so on. 1-MCP suitable vegetable:tomatoes, broccoli, garlic, chili, greens, eggplant, cucumber, bamboo shoots, snap beans, cabbage, bitter melon, parsley, potatoes, lettuce, cabbage, kale, celery, green peppers, carrots, and so on. 1-MCP suitable flower: tulips, alstroemeria, carnations, gladioli, snapdragons, orchids, carnations, baby's breath, rose, lily, bluebells, and so on. © 2016 Xianyang Xiqin Biotechnology Co., Ltd. All Rights Reserved.